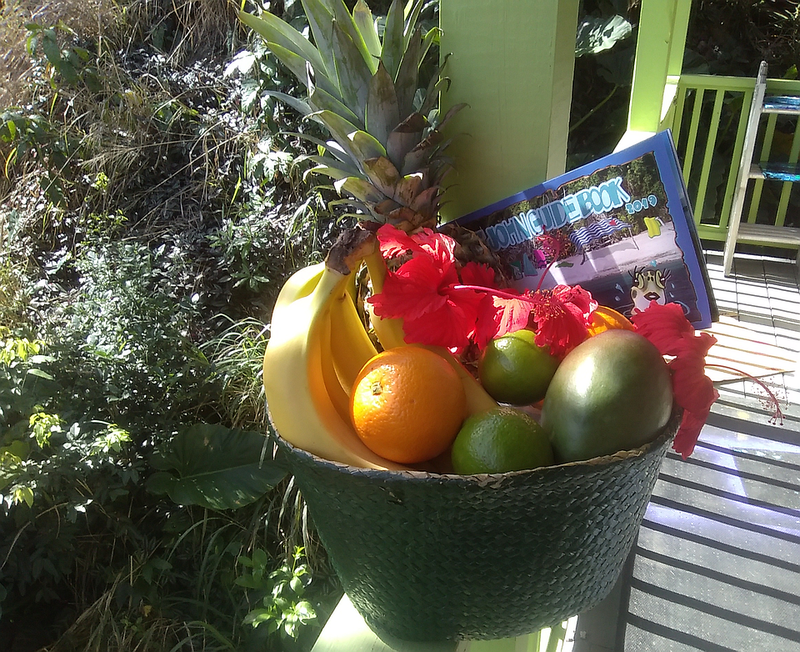 Send a gift of tropical fruits. Introducing Fruit & Gift baskets for friends of Love City. 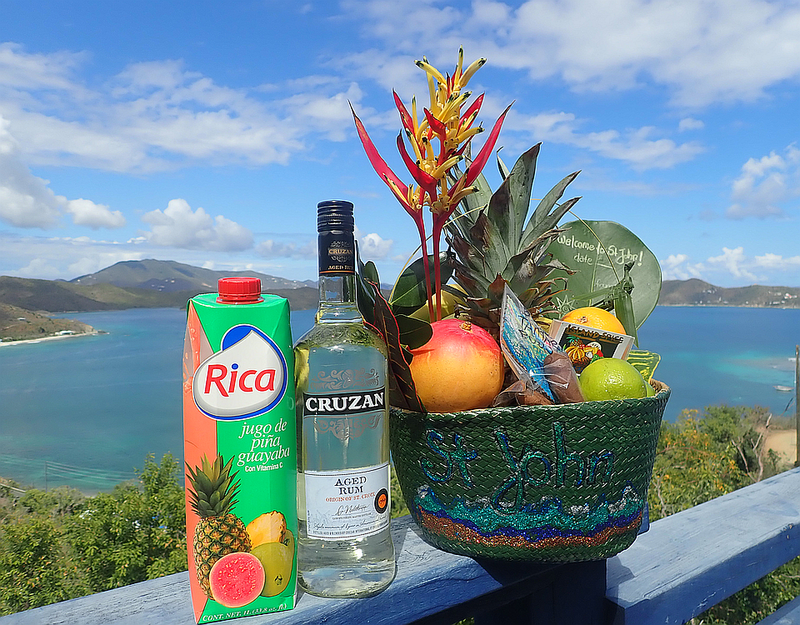 the juicy flavors of a St. John vacation. practical basket that can be used as a shopping bag, beach tote, and a take-home souvenir. 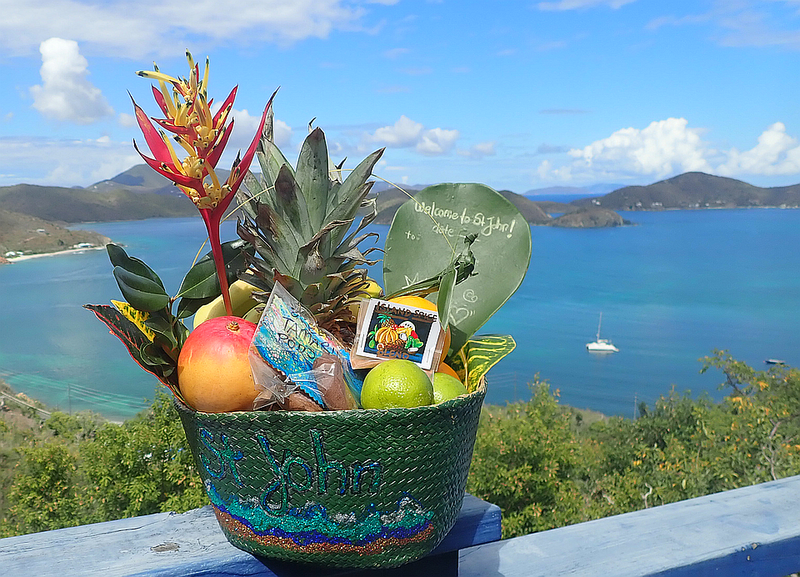 from my garden to complement your thoughtful gift with natural Virgin Islands beauty. 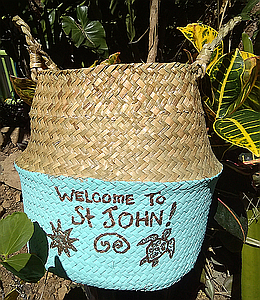 Island maps & guides are included with your Welcome to St. John! 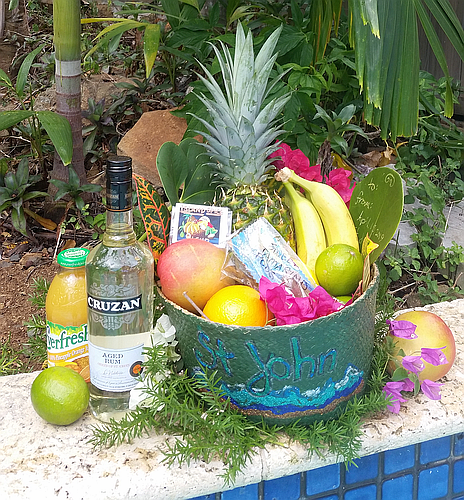 tropical fruit basket. Delivered *FREE* With a friendly personal service to island-wide accommodations. Ask about our selection of add on items to complete your gift. Baskets may be customized, by hand, with simple paintings or messages for a reasonable fee. *Every effort will be made to have the best, ripest fruit available. some listed fruits may have to be substituted. All selections will be appropriate to the package selected. When unusual local fruits are available they will be added in proportion to the base fruit package.